I am a half-eggitarian – an occasionally egg-eating vegetarian. A few days back while travelling I saw “Andamental” – the name caught my attention & a mental note was made to visit this place soon. 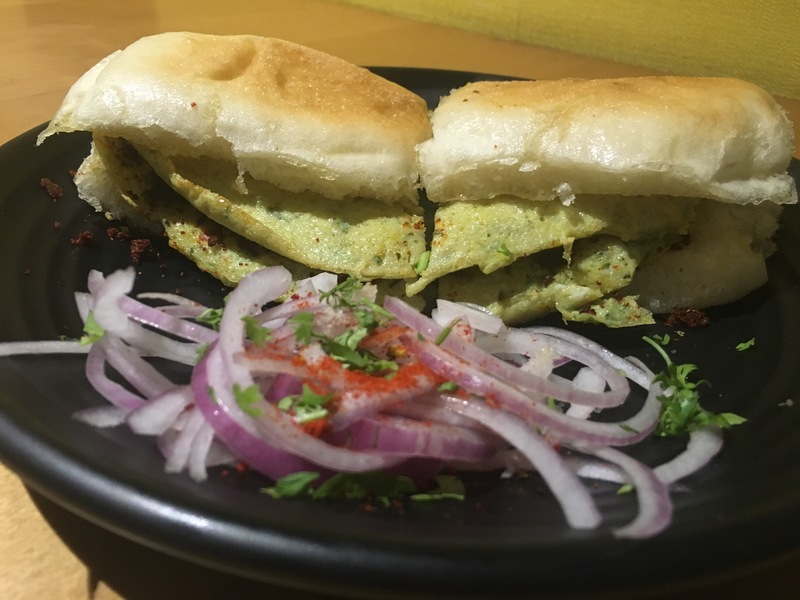 Located on off-veera desai road, adjacent to the CCD, Andamental is a small eatery whipping up some awesome anda dishes. 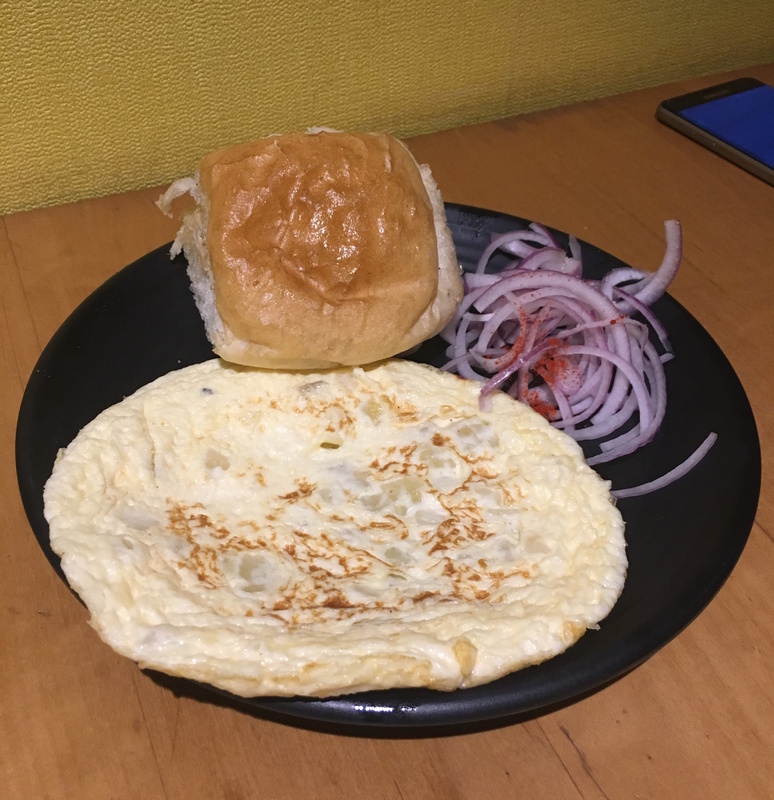 Started our meal with the Mumbai Vadapav Omelette. Next came the Afghani Anda Curry. 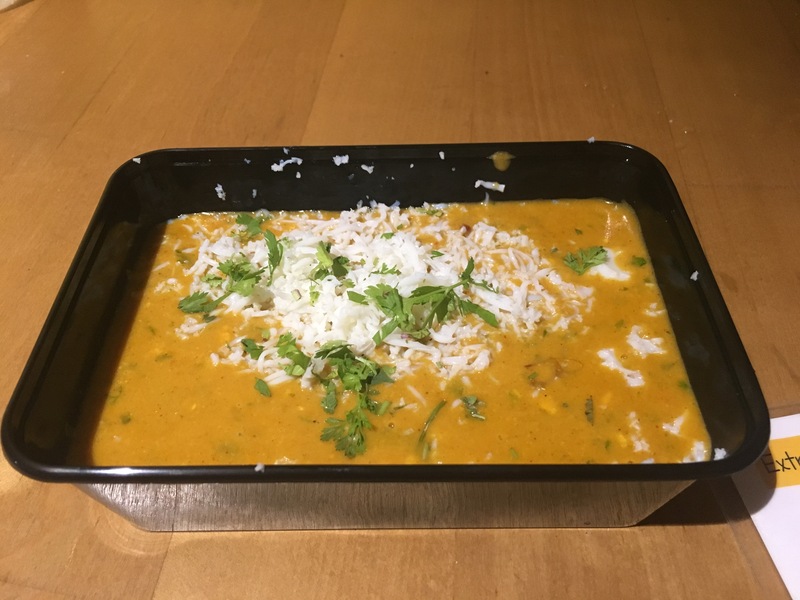 A thick orange gravy topped with cheese & coriander served with pav. Surprise Surprise – Under the thick gravy is anda – Boiled & omelette. This was one awesome gravy. Perfect balance of flavors & spices, enjoy it with the pav. Andamental biryani with boiled eggs and gravy (similar to the afghani gravy) topped with the biryani rice is a wholesome meal served along with the raita. Turkish Omlette we tried next was disappointing. Though absolutely fluffy & stuffed with potato, this lacked the basic flavors & had a slight sweet after taste. For the cheese lovers try the cheese anda baida roti. 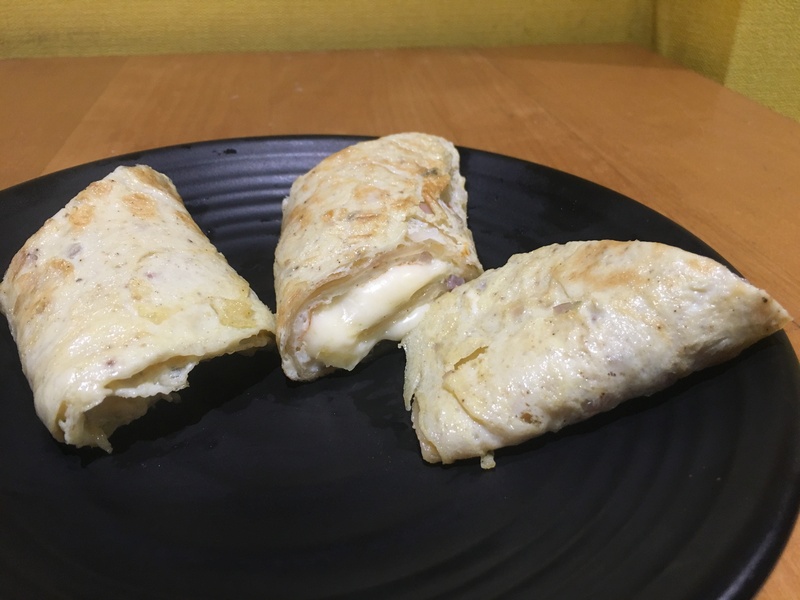 Wrapped in a maida roti is an omlette & gooey cheese. I personally need a spice/chili kick with this. Are you a pure vegetarian? Don’t worry andamental offers few veg dishes too. Mental Taka Tak is what we tried. A basic veg gravy served with pav – nothing to complain about. 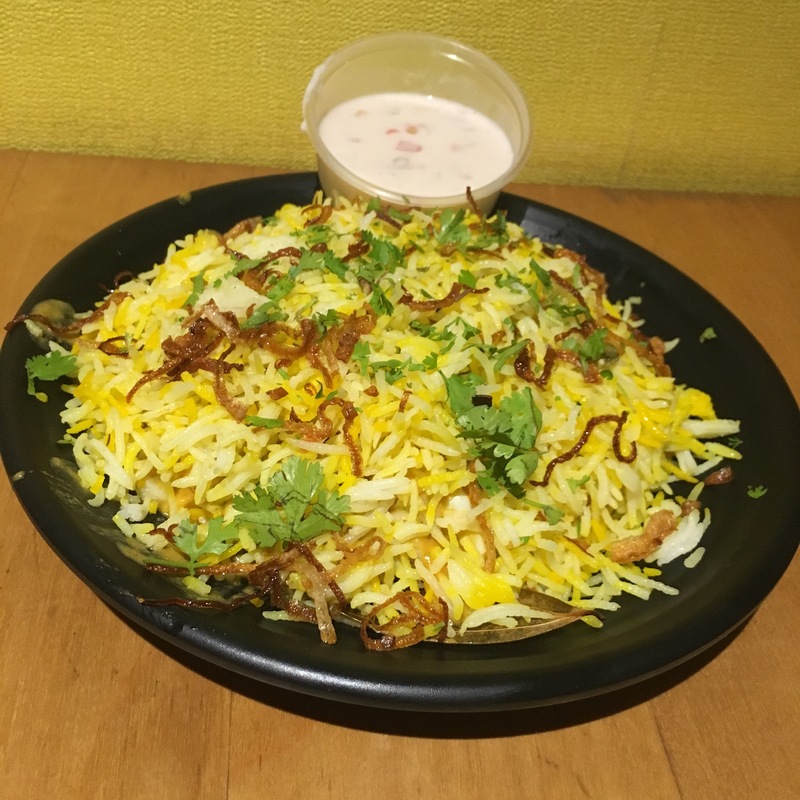 I expected Andamental to serve the basic stuff like – bhurji, biryani, omlette, etc Along with these basic dishes, they have come up with some innovations which are absolute worth a try. Except of the Andalettes (Omlette Pav) prices, which I personally think is a little high, the rest is VFM. The gravies are served in plastic boxes which are used for deliveries. The place is clean & hygiene is maintained. Staff is well informed & courteous. So if you are a anda fan, andamental should be your choice.